Our Mission: Come together as Alaskans to fight climate change, defend our way of life, and embolden the industries of the future. Alaska’s climate is changing. We know about warmer winters, melting glaciers and permafrost, we watch animals like salmon and Dall sheep struggle to keep up with changing habitat, we know about coastal erosion and community relocation, about warming oceans and drier summers. Alaskans know climate change because we are living it. These changes are happening more quickly than ever recorded. Elders observe that conditions are unlike even the oldest stories. Scientists conclude that the global climate is warming because of rising emissions of gases like carbon dioxide and methane (the consensus on this is similar to the consensus that cigarette smoke causes cancer). However, many in our state are struggling to connect the dots, and politicians are doing little to address this looming crisis. 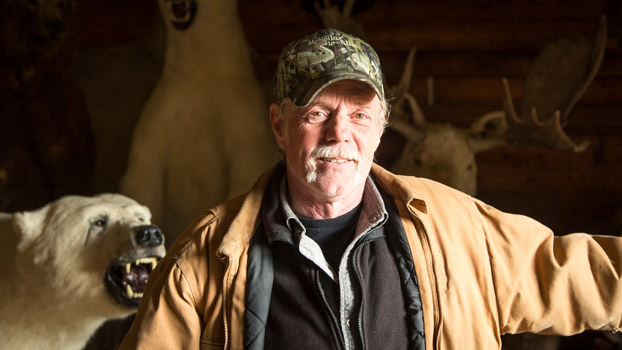 Second generation big game guide, Cole Ellis, knows climate change. This is not a left or right issue. It is about our way of life. Our campaign is working to develop non-partisan climate change resources to help our citizens recognize the scope of these changes and to see why they are driven primarily by human activity. We are working to inspire action toward climate change mitigation to preserve our beloved state of Alaska. Many of us feel powerless in the face of climate change. It's time we put our minds together and start working to confront the greatest threat humanity has ever faced. As temperatures warm in the interior and Arctic, the number of wildfires increases. The fires destroy the lichens that caribou depend on for winter forage. These lichens do not grow back quickly and caribou are forced to move. How Much Will Climate Change Cost Alaska? University of Alaska economists believe the impacts of climate change could cost the state hundreds of millions of dollars per year in the coming decades. What Does CO2 Have to do With Alaska’s Climate? Skeptics of man-made climate change offer various natural causes to explain why the earth has warmed 1.4° Fahrenheit since 1880. But can these account for the planet’s rising temperature? Click this link to see how much different factors, both natural and industrial contribute to global warming. Renewable Energy Alaska Project’s (REAP) is working to increase the production of renewable energy in Alaska. Their work saves 30 million gallons of diesel and 25 million gallons heating oil per year statewide. Climate change is going to be expensive. To account for added costs for things like road repair and harbor modifications, growing numbers of Republicans and Democrats support shifting taxes from income to fossil fuels. Tax the stuff that hurts you. This strategy is working in British Columbia and Denmark. Check out Citizens Climate Lobby to find out about a proposal for the USA. Do We All Need to Eat Granola? There’s no one right way to take on this challenge. You might want to insulate your home or buy a more efficient stove. Start with a carbon calculator to find out what emissions you are responsible for. Then, check out Carbon Offsets to get the biggest bang for your buck. This country could become one of the first in the world to completely stop using oil, gas and coal by 2050. Hit the link to see which country this is. You may be surprised to discover that its capital is almost the same latitude as Juneau. Conservative leaders are championing free-enterprise solutions to a warming world. Our families’ futures are in the balance, our safety and economy is at stake. Alaskans must come together, because climate change is not a right or left issue.